Skills will provide the professional with everything they need to design and manage a customized treatment program for each child. Skills provides access to the most comprehensive assessment and curriculum in the world for students with autism, including assessment questions and lessons that focus on teaching higher level complex behavior, such as perspective- taking (Theory of Mind), complex social language and executive functions. The Skills Language curriculum takes a functional approach to teaching language skills based on B.F. Skinner's (1957) analysis of verbal behavior. The flexible, customizable (non- "cookie-cutter") approach to assessment and curriculum design within Skills allows professionals to more efficiently formulate and manage a fully individualized intervention plan for each child. Skills tracks both "known" skills (via the assessment) and newly mastered skills (via the treatment plan). Professionals can keep track of each child's progress at the operant (exemplar) level and at the activity level. Skills allows professionals to keep track of the effects or absence of effects of alternative treatments, life events and challenging behavior on a child's progress. 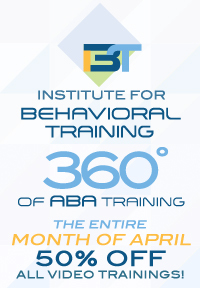 CARD eLearning gives professionals an easy way to provide therapy staff with the didactic portion of foundational training in Applied Behavior Analysis (ABA) and autism that they need to begin field training for implementing ABA-based teaching techniques with children with autism. Professionals can view and compare the performance of therapy staff taking CARD eLearning as well as contrast the progress of different children assigned to a particular therapist, or contrast therapist effectiveness in relation to other therapists. Skills provides access to a fully comprehensive assessment that assesses all areas of child development (social, motor, language, adaptive, play, cognition [perspective-taking, private events], executive functions, and academic skills) – no need to administer a battery of different tests. All skills have assigned ages for when they emerge in typical development. Assessment questions are individualized according to chronological age so that each child is automatically presented only with lessons that are relevant to him / her - no need to spend time researching skill ages. Ability to select lessons quickly from a pool of individualized options directly tied to the child's particular assessment results. Access to a variety of valuable, printable materials, including customizable lesson plans and target lists, teaching guides, visual aids, worksheets and tracking forms. All lessons are linked to specific IEP goals and benchmarks – reduce time spent writing IEP goals by 30%! Visually examine each child's progress via a variety of immediately accessible progress tracking charts – no need to plot data. Unlimited access to online support.